JUST SAY BYE TO PLASTIC BAGS TODAY! These bags are Eco Friendly so that it could be the most suitable replacement for one-use plastic bags. Useing Reusable Grocery Tote is a great way to cut down on wasteful one-time-use paper and plastic bags. The green living, fashion and function can successfully co-exist. 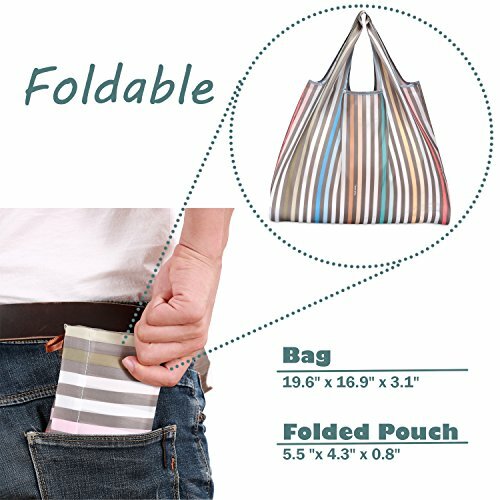 Folded pouch: approximately 5.5 "x 4.3" x 0.8"
MATERIAL: Made of 100% High Quality Polyester which is sturdy waterproof and lightweight. You can hold heavy loads safely and comfortable. PERFECT SIZE: Large capacity-can hold up to 44 pounds. 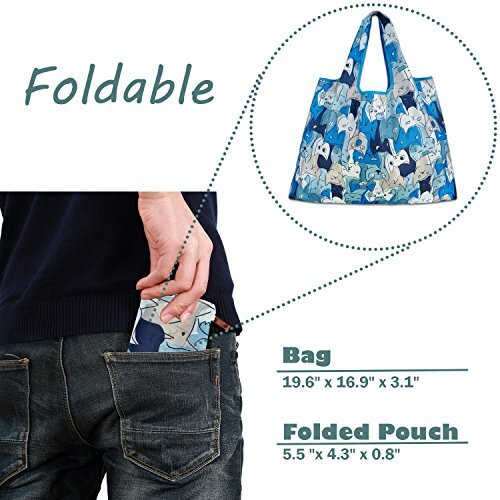 PORTABLE CONVENIENCE: These reusable grocery tote are easy to fold up and fit in your purse or pocket. Perfect bag for everyday shopping, groceries, travel, storage and practical for daily use. Eco-Friendly: These grocery shopping totes are machine washable. They can be used over and over gain. Reusable bags help the environment by reducing the amount of trash. 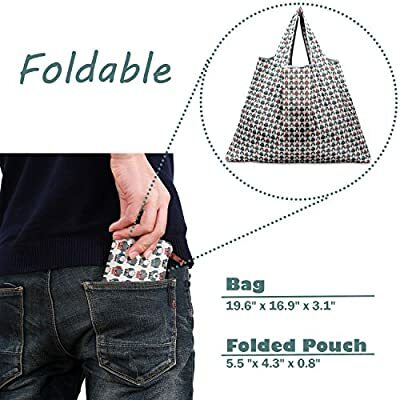 DURABLE: All folding bags are reinforced with double stitches which makes them hold heavy loads safely.